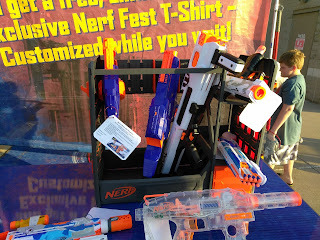 Nerf Fest rolled out of Illinois over the weekend, and last I heard they were near Indiana! I stopped by the Hodgkins, IL stop and went to see what was up. The staff was friendly, but if you are expecting to see anyone who works for the Nerf offices, they aren't on this tour. You won't get a lot of info on upcoming releases or talk shop, the road teams aren't prepped for that. They are familiar with the new product (in this case I saw a Hades, the Nerf blaster rack, Evader, battle camo stryfe, split strike, Infinus, Apollo, and Surgefire), have small freebies, including a blaster poster of Nerf releases through the years, darts, a button, and I even got some sunglasses. You can also sign up for Nerf Perks (and there's a code for more points), see Nerf Dog toys, the Laser Ops pro, some licensed party supplies, and I think a charging station. All that being said, I have questions. Where was the press release? Apparently one was made but myself and other fan sites would have loved to learn about this ahead of time to push it. But only the local news apparently was made aware for each stop. 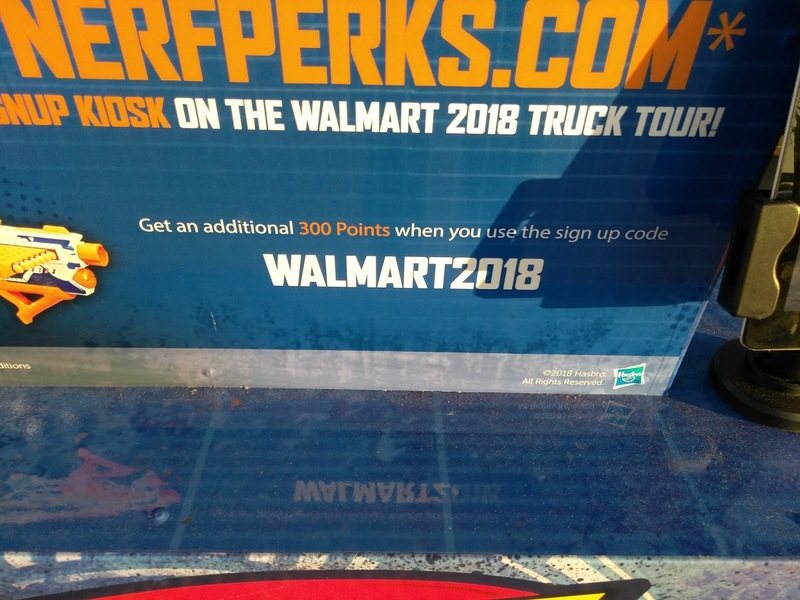 I guess it boils down to what the goal of the tour was, brand awareness and demos for People of Walmart as opposed to straight up attendance numbers that could be brought in from fan sources. Missed opportunity to get large crowds and compelling images. 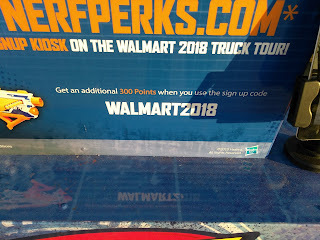 No free blaster giveaways? Even a spinning prizw wheel or raffle would have been nice to give away a Jolt or Triad. 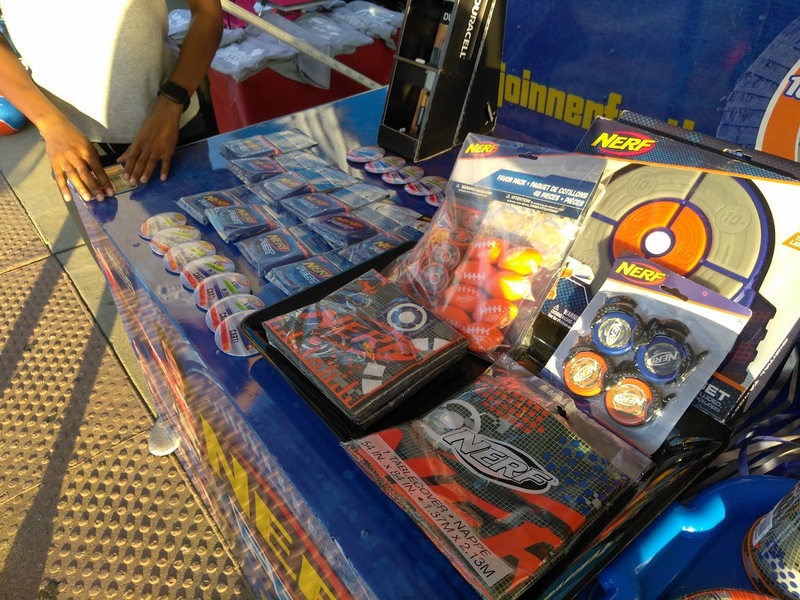 You got darts sure, but the thinly-veiled push to buy blasters was a bit awkward. 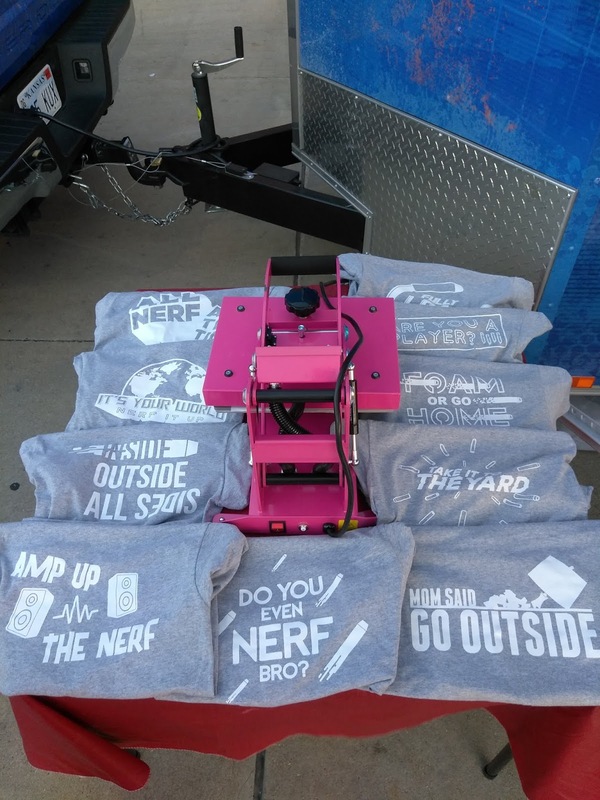 For a free shirt you go into Walmart and buy over $24.88 of Nerf goodies, show your receipt, and pick your shirt from 8 different syles. Staff remained engaged and took pics, talked to the crowd, they did a fine job. I don't think they had enough backing, prepping, and supplies. The fandom is a small population sure, but NerfNation could do better. Ultimately, each stop is only a few hours so they couldn't have a huge setup but after years of seeing things like this I really wish the fandom would be involved or represented somehow on events like this. Still, I am glad I went and hope they do this again. As for the $14.88 I spent on a BattleCamo Firestrike.... That's a rant for a different day.